There are plenty of reasons to sport a trim belly, as we know it’s the area that is most responsible for diseases related to obesity. It goes far beyond that, though. According to the National Institute on Aging, too much belly fat can result in dementia. The liver whips proteins away from the hippocampus to help the body metabolize fat. The hippocampus controls learning and memory. Studies have shown that obese individuals are almost 4 times more likely to develop dementia when compared to people of a normal weight. Peroxisome proliferator activated receptor (PPAR) alpha is responsible for assisting the liver in metabolizing fat, and is also found in the hippocampus, boosting memory capacity and learning. However, when there is too much abdominal fat for the liver to handle, it turns to the reserves in other areas of the body, which includes the brain. This depletes the PPAR alpha which results in learning and memory impairment. Researchers made use of two types of genetically altered mice in their studies. One set had a PPAR alpha deficiency in their hippocampus, while the others had the deficiency in the liver. For those liver deficient mice, they were completely unaffected, however, those with the brain deficiency saw their ability to learn hampered, and suffered memory loss. This is just one factor that contributes to the influence of obesity on memory loss. Obesity had a severe effect on participants in reasoning and memory tests. Additionally, middle aged participants who were obese were found to be 50% more likely to develop dementia. We can expect to see a rise in dementia, simply because our population is aging and dementia is typically an old age illness. 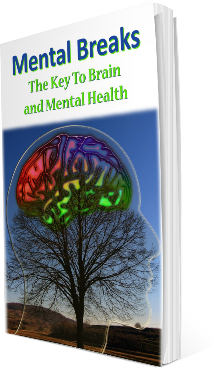 However, obesity is a factor contributing to the breakdown of brain health. For people in their 40s and 50s who are struggling with their weight, this is a wakeup call, because they are more likely to develop dementia when their 70s arrive. Perhaps there’s an even more disturbing fact staring us in the face. According to the University of Cambridge, a high body mass index negatively effects the brain health of young adults, which means that even our young adults are suffering from memory loss due to their weight. The Annals of Neurology published findings from a study that found visceral fat linked with a loss of grey matter in middle-aged adults. Visceral fat is belly fat, and while you may know the many health risks associated with it, you likely hadn’t heard about its link to dementia until now. This fat gathers around the belly, however, internally it’s surrounding your internal organs. It isn’t just sitting there either. It’s releasing inflammatory hormones, which are wreaking havoc on your internal organs, thus making your body work harder. There are a variety of ways you can protect your brain health, and one key way is through diet and exercise. Diet and exercise are the key to your overall health, so it makes sense that this would be the most effective way to improve your brain health, too. Healthy fats are incredibly important, coconut and olive oil are extremely beneficial to the brain, as are fatty fishes. The Mediterranean diet is excellent for weight loss and brain health. If you have a roll around your tummy, it may be time to take steps to kick start your health. It is imperative that you stay lean if you want to manage your physical and mental health. Start exercising your brain, too. Take time out to enjoy board games, crossword puzzles, and socialize. It’s important that you include variety in your day.